Richard M. Carpiano is Professor of Sociology at the University of British Columbia. Prior to his arrival at UBC in 2006, he was a Robert Wood Johnson Foundation Health & Society Scholar at the University of Wisconsin-Madison. 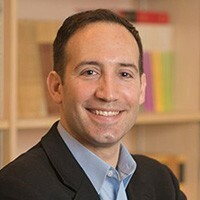 Carpiano is a medical sociologist with related training and interests in public and population health, community sociology and research methods (including measurement and research design). His substantive interests center on examining the ways in which social factors, such as education, income, and local community environments, contribute to physical and mental health and health disparities. Several of Carpiano’s current projects focus on the positive and negative ways in which neighborhood- and general network-based community ties influence the health of adult and child subpopulations. Carpiano has also been engaged in or led the development of several projects focused on investigating social and behavioral factors underlying child vaccination uptake and coverage in the US and Canada. Please see my website for details of teaching and graduate student mentoring.